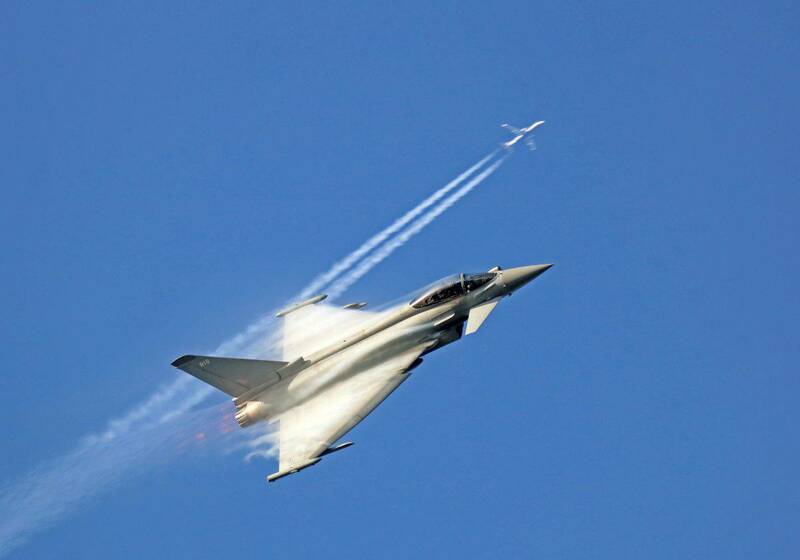 This is the moment a fighter and a passenger jet appeared to cross paths thanks to a perfectly-timed photo. RAF Typhoon display pilot Flight Lieutenant Jim Peterson was doing an early season display practice over RAF Coningsby in Lincolnshire. He crossed the vapour trail of a passenger jet flying several thousand feet overhead, giving the appearance of a synchronised display manoeuvre. The moment was captured by photographer Mike Woodward, 53, on Monday. He said: “Red Arrows watch out. It looks like there’s a new RAF display team in town.